The book report may be the most dreaded elementary classroom assignment of all time. The elementary Common Core writing standard for argument includes opinion pieces about books, encouraging many teachers to incorporate some form of literature review rather than worksheets filled with information. We do want students to comprehend a book’s who, what, when, and so on, but a book report, even digital, that is a simple summary of characters plot isn’t any better than the worksheets we’re all keen to avoid. A regurgative book report is devoid of thought and presents no argument. Being assigned such a task is an open invitation to copy and paste a summary from a wiki or even the book’s dust jacket. While we can police student work for plagiarism, we can also do much better. Making and design doesn't need to be limited to art class or the Maker Lab. Making in language arts, with tools like Wixie and Pixie, can produce useful demonstrations of performance that helps you identify and evaluate a student’s comprehension. While you may still choose to employ character trait or plot summary worksheets, you can also require students to apply the information they contain. Students can use facts from the worksheets they complete and apply them during the design and creation of a new book cover intended to engage a specific audience. 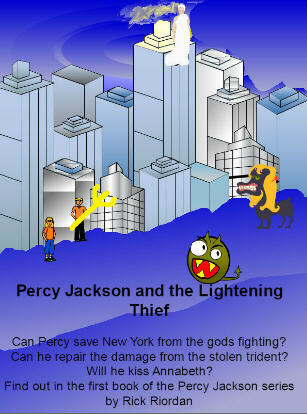 Book covers can include plot summaries, reviews, teasers, and quotes from the story to further hook potential readers. A colorful front cover, combined with an informational back cover, lends insight into students’ comprehension of character, plot, mood, and more. Georgia educator Heather Temske combines her students’ book covers with audio “pitches” accessed using QR codes. Hillsborough County Public Schools in Tampa, Florida hosts an annual “Create a Cover” contest to provide students, including low-performing readers, to creatively showcase their comprehension. Many educators have moved the book review into the digital age by having students create book trailers in the style of movie previews. Effective book trailers aren’t simply a summary of the plot. Information about key characters, and plot details presented in a creative, intriguing manner are crafted specifically to entice and motivate others to read. To make an effective book trailer, students need to understand the book and connect the story to their own experiences, helping them see how the content is relevant to them and the people who will view their projects. As they learn to think about audience and utilize the tools of propaganda and methods of persuasion, they build powerful skills in argument and media literacy. We don’t have students complete character analyses because they will be doing this for a living, but rather to help them learn to think critically, analyze information, and communicate effectively through storytelling. One way to lend relevance to character analysis is by asking them to demonstrate understanding using a character scrapbook. Many kids today have parents who have been documenting their lives with scrapbooks. What students choose to put in a character’s scrapbook indicates their knowledge about the character and their actions. Scrapbook decoration reflects their understanding of the content as well as their own personality. It’s important that a scrapbook is not merely a list of bullet points about a character. The entries in a character scrapbook should evidence the student’s analysis of motivation and insight into that character’s actions. One way to help ensure that students actively think about what they’re including is to include multiple journal entries from the character’s perspective that evidence growth or change over time. Fictitious letters between characters showing their relationships is another way to help students connect with the characters. Asking students to “make strategic use of digital media” (CCSS.ELA-LITERACY.CCRA.SL.5) to produce writing where “the development, organization, and style are appropriate to task, purpose, and audience,” (CCSS.ELA-LITERACY.CCRA.W.4) may sound like a mouthful, but in practice it engages students in the literature they are reading and gives meaning to their work!